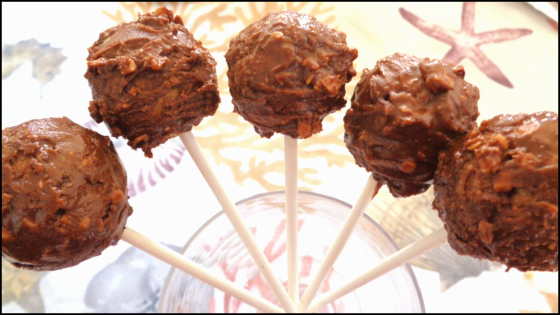 The easiest sugar-free cake pops – from my food blog. Likes and comments closed on this end. After enjoying some, I set the rest aside to indulge the next day on my birthday. My 8 1/2-year-old PoPPed them into his mouth with no thought of leaving me my portion, and I barely had any. Laughing and crying. Here’s the simplest sugar-free version I came up with.